Why settle for less when for the same price you can travel in style? A Plus Coach offers reliable and affordable Weymouth Airport Shuttle Service to Logan International. Nothing gives us greater pleasure at A Plus Coach than to provide our clientele with around-the-clock luxury Weymouth Airport Shuttle Service. Life is about the journey, not the destination, right? Well get busy enjoying the journey rather than stressing about the details. A Plus Coach of Massachusetts combines affordability with world-class ground transportation. Our fleet also is stacked with stretch limousines, SUV limos, vintage and antique vehicles. Your chauffeur handles your luggage and is their to serve as your concierge too. Begin your adventure with us today! We are here to serve you. Travel days are almost always stressful ones. With long security lines, carry-on and luggage to tend to, the last thing you want to worry about is how you’re getting to your hotel or destination. That’s where we come in! A Plus Coach offers exceptional Weymouth Airport Shuttle Service to a laundry list of destinations in Massachusetts. There are several benefits to choosing A Plus Coach for all of your Airport Transportation needs. We Welcome You to Call us for Logan Airport Shuttle Service 877-768-1700. Reliability and Punctuality – A Plus Coach are sticklers about being ahead of schedule. Nothing is worse than getting off a plane, being ready to unwind, and then you get to baggage claim and your driver is no where to be found. That is never the case with our Weymouth Airport Shuttle Service or A Plus Coach’s other luxury car services, which we will get into later. Our Weymouth Airport Shuttle is on time, every time. Allow us the pleasure of collecting your belongings and escorting your safely to your next destination. You are in able hands with A Plus Coach of Massachusetts. Comfort and Luxury – Our fleet of luxury automobiles are of the highest caliber. Well maintained, fresh, stylish and stocked to the nines with every amenity one could dream of, that is the A Plus way. Whether you’re going straight to your hotel from the airport or seeking an adventurous detour before arriving at your destination, make sure you travel in comfort with A Plus Coach. Affordability – There is zero reason why you should be breaking the bank by opting to indulge in personal ground transportation. Luxury car service IS AFFORDABLE, believe it or not. The day of private car service is here, and here to stay. The reason why so many people have turned to this option as their routine, is because it is so affordable. A Plus Coach doesn’t just offer Weymouth Airport Shuttle Services….We have an extended fleet of exceptional vehicles that are designed to ignite your wildest dreams and leave you wanting more. You work hard for your money, so you deserve the very best for what you pay for. A Plus Coach delivers you luxury and affordability .. and then more. Allow us the pleasure of being your hosts on your next adventure, whether it be business or pleasure. Cab and taxi services are a thing of the past. they are expensive, uncomfortable and most of all grossly unreliable. A Plus Coach’s luxury car services and limousine service always aims for customer satisfaction. You get the comfort and level of service you are deserving of without having to feel like you’re splurging. We welcome you to call us at 1-877-768-1700. A Plus Coach offers multiple options for Weymouth Airport Shuttle Services. Black Lincoln Town Car – This is most certainly an elegant form of transportation. This is a great fit for a solo business engagement or for a trio that is looking to have added comfort for the evening. Plush leather seating, superior sound system, an insane amount of leg room, this sleek and sturdy vehicle is like riding on a cloud or air. Perfect for date night, you can certainly make a lasting impression with that certain someone when you choose our Black Town Car. Sit back, relax, and enjoy the ride to your destination. 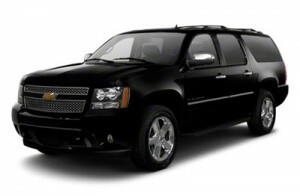 Stretch Limousine and Black SUV – The ultimate in luxury, these options, while extremely affordable, are definitely the higher end of our vehicles. Kick off a night to remember by climbing into one of these exceptional automobiles. Whether you’re simply going out to dinner or attending a formal gala, rest assured you’ll be arriving in regal style in A Plus Coach’s Stretch Limo or Black SUV’s. Make your dreams a reality by calling to book with A Plus Coach today. Weymouth Airport Shuttle Service is the only way to go when traveling in and around MA. Be our guests the next time you come to Massachusetts. 24/7/365 – That’s what you’ll get when you travel with A Plus Coach of Weymouth, Massachusetts. Combing luxury and affordability has been our mission from the start. Life can be hectic, especially when visiting a new city. Let us sweep away your cares and take care of the details. Just sit back and leave the driving up to your family at A Plus Coach. Call A Plus Coach anytime of the day at 1-877-768-1700.